It should come as no surprise that the Land of Enchantment manages to be even more enchanting when the season starts to change. As we move from summer into fall, we prepare for warmer clothes, a change of scenery, and most importantly, festivals! From cowboy symposiums to the biggest balloon festival around, New Mexico does it right. 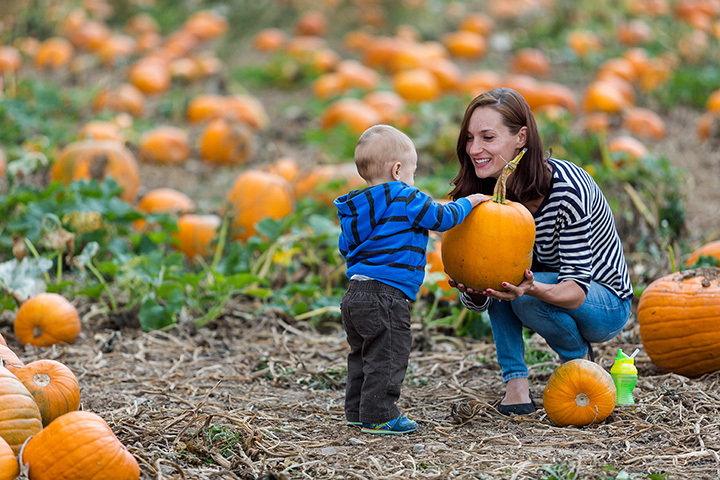 Here are our favorite fall festivals in the state. This celebration of the cowboy way of life has been taking place since 1990. It brings together old west storytellers, historians, poets, musicians, western artists and craftsmen to pay tribute to the American cowboy. Activities include horse demonstrations, swing dancing, a kid rodeo, educational activities and the yearly chuckwagon cook-off. It’s three days of wild western fun. For more than 300 years, the city’s plaza has come alive in fall with the cry of “Viva la Fiesta.” This celebration commemorates the peaceful resettlement of the City in the 1600s. It’s a week of festivities that includes a historical parade, fine arts and crafts market, live music, a pet parade, food booths and much more. This is the oldest civic event, held in the one of the oldest capitals, in the United States. Each year, this community comes together to showcase local agriculture, mer-chants, artwork, performing arts and the historic culture of the area at this weekend festival. Organized by the local Kiwanis Club, this all volunteer group puts together two days of fun that includes hay rides, a hootenanny, an arts and crafts show, kids activities area, a pet parade, wine tasting, a grower’s market and live music. The local historical society also hosts activities at early settlement sites nearby. Fall conjures up thoughts of cooler weather, leaves changing color and, of course, beer. It’s the season of Oktoberfest. The annual two-day event at the city’s Bran-denburg Park brings together local microbreweries—the best wins a prize—plus food, music, arts and crafts, wineries, games, yodeling and brat eating contest, and a park filled with family friendly activities. Raise your commemorative beer mug for a German OOMPAH shout-out during the polka music entertainment. Pueblo feast days are a unique blend of Native American culture and Catholic ritual. This pueblo allows the public to attend. The Taos Puebloans put on a day filled with traditional dance. There’s delicious food to try, an arts and crafts market and a few time-honored activities like pole climbing and a footrace to watch. The scents of piñon, green chili and sage waft through the air. A few reminders: no pictures, no asking questions and no going into Puebloan homes unless invited. Just enjoy! Many things define New Mexico, but none more distinctively than the green chili … and specifically the Hatch green chili. It’s so popular that its home town holds a two-day festival every year in its honor. The world-famous crop has been show-cased on the Food Network and the BBC and brings more than 30,000 visitors to town looking to get a taste of it. Activities include chile ristra contests, magic shows and carnival rides. Food booths celebrating this most loved chile are on-hand. The crowning moment of the festival is the announcement of the Chile Queen. Birders and nature lovers grab your binoculars for six days of celebration honoring the return of thousands of migrating sandhill cranes that overwinter at the Bosque del Apache National Wildlife Refuge. Every day of this multi-day event is packed with wildlife, birding and photography sessions that bring to life the beauty of the natural landscape and wildlife of the Refuge. Family activities, an annual photo contest and an Expo Tent filled with a selection of photography, eco-tourism and conservation organizations are on-site to gather information from throughout the days. This is the largest balloon event in the world. If you’ve ever wanted to see what 500 balloons floating into the sky all at once look like, this is the time and place to do it. Whether you come for all or part of the nine-day fiesta, you’ll see thousands of balloons in all shapes and sizes, designs and colors ascending and descending every day. This is an interactive event for guests. You can walk among the balloons and talk to the pilots. You can even sign up to be on a chase crew. But don’t miss the Balloon Glow or Night Magic Glow, both twilight moments of hot-air balloon magic. View more New Mexico Festivals, Fairs and Parades.